By pressing 'view' you'll be directed to the corresponding graphic located below the table. Peace and Good Health to You! Your website has been evaluated, and has won the Star of Life Award – Bronze. Thank you for applying! Thank you for your interest in the Phat Lady Awards Program. Congratulations, You have Won an Award! We have finished the judging process for your web site. You have developed a star quality web site. No dynamic content but search feature, and email function. Cordial congratulation to your Award! I have now completed the review of your fantastic spiders corner site submission. I am extremely proud to present your site with the Franzi's Reptil excellence Award. Thank you for giving us the opportunity to review your work, the visit was most inspiring. Your effort and dedication shine throughout your pages. You are truly deserving of our highest accolades, and for making the World Wide Web a much better and nicer place for us all to visit. Katstorm and Co. is proud to present you with our web site design award. Your web site was thoughtfully reviewed and found to meet all of the necessary requirements to merit receiving our award. We enjoyed your site so much that as a bonus your website will also be advertised in our weekly newsletter. We want to congratulate you on winning our Sun Award. 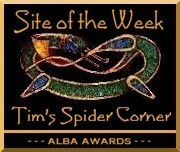 Tim's Spider Corner has been chosen to be the 2004 – 2005 Site Of The Year – Silver award winner. Your site is a testimony to your creativity and dedication. A true treasure!!! (Peace and Good Health to you!). What a wonderful site! Thank you for inviting us to visit. We are pleased to tell you that you qualify to win the Lexi Gold Award. The Gold Lexi Award of Excellence are presented to those sites whose web design, originality and content have achieved high levels of excellence deserving of recognition. 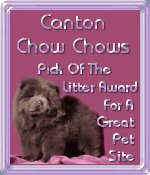 you have won my Pick of the Litter Award for a Great Pet Site. Your site is very unusual and quite informative. Thank you for submitting. We love Tim's Spider Corner! The content is educational, very interesting and well composed. Your site demonstrates what an incredibly rich and diverse source of information the world wide web can offer. The design is beautiful and it is a genuine pleasure to peruse. Additionally, you have presented information in a logical and grammatically correct way. Please accept our L.I.S.A icon as our high regard for your quality work. 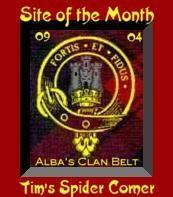 Tim's Spider Corner has been found to be worthy of the Site Of The Month Award for September 2004. Congratulations and thank you for inviting me to review your website. I found the content most interesting. Your design format and colors were pleasing to the eye and I enjoyed your easy navigation system. You have done a marvelous job and it's a pleasure and honor to have International Gold Award of Excellence placed on a site such as yours. Hello, your requested an award for Tim's Spider corner. 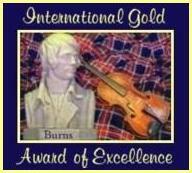 Congratulation, you are the winner of a golden Award! Your site is of exceptional design and content. It is with great pleasure that we award your site. 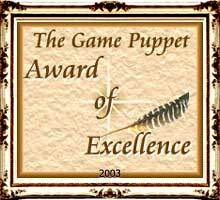 Please accept this award as a token of appreciation on your wonderful contribution to the internet. I have reviewed your site Tim's Spider corner in accordance with the criteria for this program. Your site has won the Gigi's dream catcher gold/outstanding award. I enjoyed my visit and congratulation on a job well done. A very informative website. The design is good, The navigation to all website's are ok. All links intact. Okay...EEEEEWWWWW! 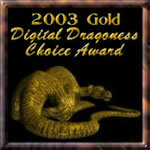 Having said that, let me congratulate you on winning Gold from the Digital Dragoness. Great site, with solidly good design. Fascinating subject, too. I check the bird eating spiders out at the pet store every time we go... and the others, too. Hi, thank you for your application. 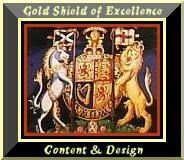 I have carefully reviewed your site and I am pleased to tell you that your site won my gold site award. You have an excellent design easy navigation. All of us agreed that you truly do have a interesting web site with quality content and design. Proudly display the Aloha Award to let others know that your Web site is informative, unique and has won this prestigious award. Your excellent website has earned Sgt Pleiku's Number 1 Website Award. 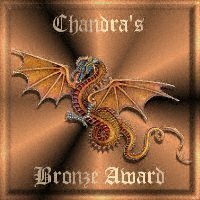 This Award given only to those websites that show graphic and design excellence. 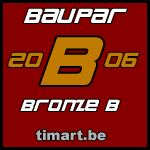 Congratulations You have been awarded the Bronze Nodus Web Award from nodusdesign.com Well documented and very extensive. Well done! 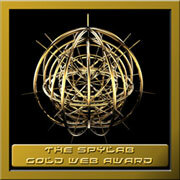 The Spylab awards you with The Spylab Gold Web Award. Spylab recognizes that your hard work is great, the site is well designed and very fine! All contents are completely studied. I have visited your web site and I think you have done a wonderful job. It shows a lot of hard work on your part. Therefore, it gives me great pleasure in presenting you with my award.